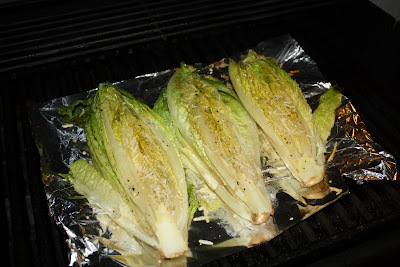 Lay out a piece of foil. Rinse lettuce and pat dry. 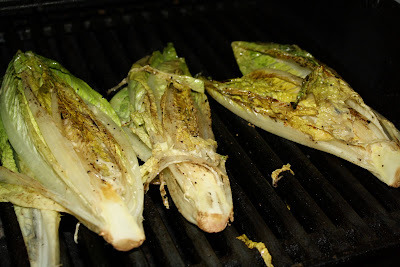 Cut romaine lettuce head in half. 2 heads will create 4 halves. 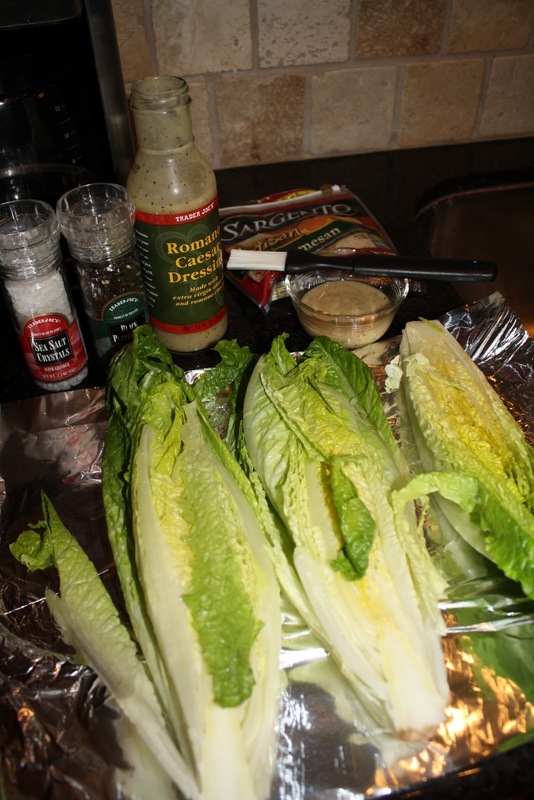 Brush on caesar dressing on both sides of lettuce, add salt, pepper, and cheese. On a BBQ Grill on medium heat, lay the foil with lettuce on the grill. 5 minutes on each side. 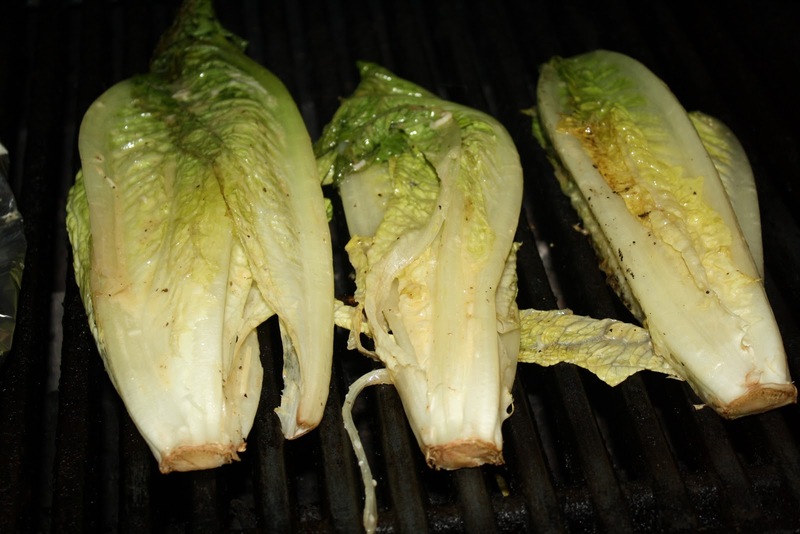 Remove foil and lay the lettuce on a clean grill until edges get a little crispy. 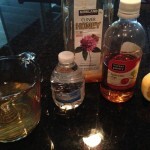 Serve with additional dressing and cheese in case your guests would like more.